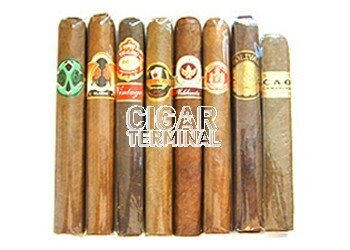 This Toro Cigar Sampler brings together 8 of our current best-selling Toro cigars. The actual line-up changes regularily, but always premium top brand name toros from the most famous names in the cigar world. 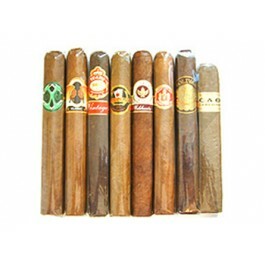 This Toro Cigar Sampler brings together 8 of our current best-selling Toro cigars. The actual line-up changes regularily, but always premium top brand name toros from the most famous names in the cigar world. Currently : Padron 4000, Rocky Patel Platinum, Romeo y Julieta, Baccarat, Joya de Nicaragua, Saint Luis Rey, Bolivar & CAO Cameroonand others depending on current availability and what's a hot seller.